Browse » Home » Resorts World Langkawi » Resorts World Genting: Grab These Incredible Offers Before It Ends! Resorts World Genting: Grab These Incredible Offers Before It Ends! ROOM only from RM88, best online deals only available via iHoliday . 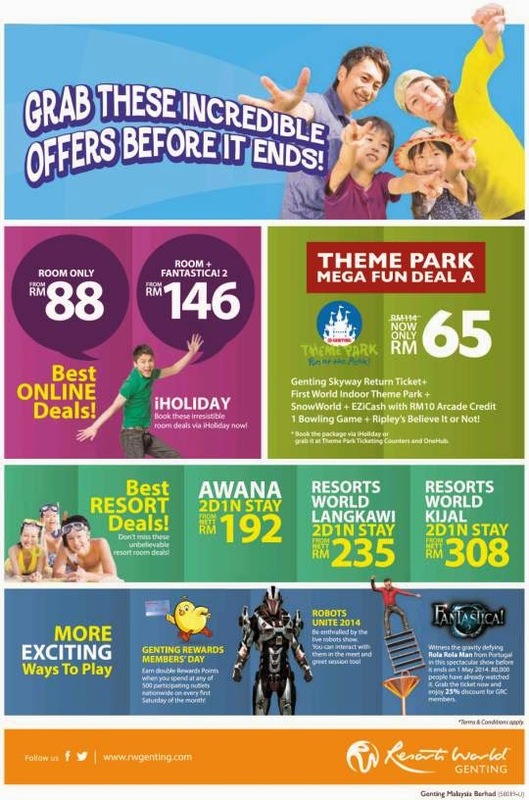 Also on offer: Theme Park Mega Fun Deal, best resort deals, Awana stay, Resorts World Langkawi stay, Resorts World Kijal stay and more exciting ways to play! 1 Bowling Game + Ripley's Believe It or Not!